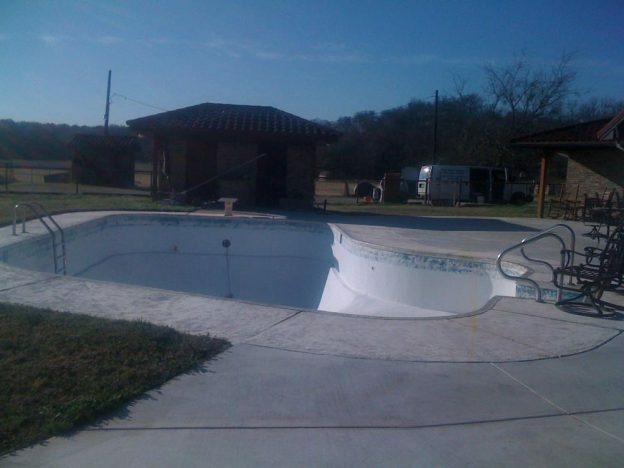 Aledo TX Pool Remodeling Job - Texas Fiberglass Pools Inc.
Fiberglass pool resurfacing by Texas Fiberglass Pools Inc.. Our Company resurfaced this combination swimming pool with new fiberglass making it look better than new! Our expert technicians also performed a pool tile replacement installing a beautiful 12″ tile band. 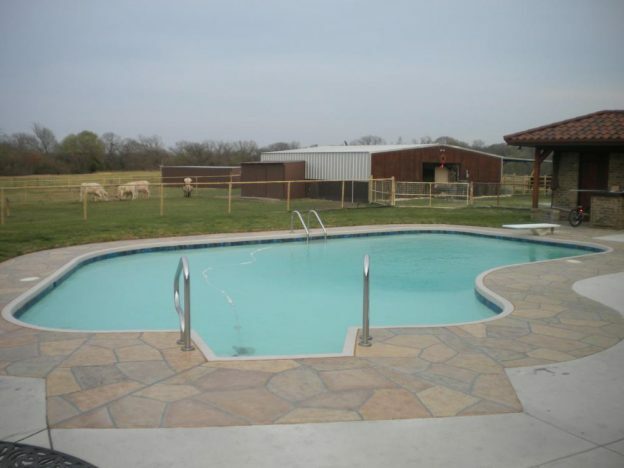 Pool deck resurfacing created a stone-look that the client loves and added value to his home!